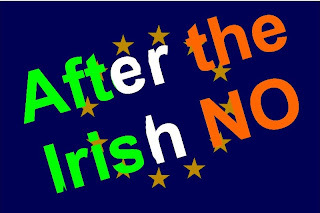 I wrote the commentary below on the Irish vote of the Lisbon Treaty last September, in 2008. Nothing has really changed since then, except, the people of Europe are more actively protesting their governments than ever before. If popular vote of EU citizens determined the passing of the Lisbon Treaty, this treaty would be burned. Yet the heads of state of many countries have ratified the treaty. Why? Isn't government supposed to reflect the 'will of the people'? Can heads of state change the opinion of the 'people' by denying them a voice in their affairs? Why is the EU so bent on passing Lisbon WITHOUT the will of people behind it? Can the EU survive without the political will of its citizens? These are important questions. The answer determines the health of the European electorate in general. What the people do not demand, they will not get. And with Lisbon ratification, the people want a voice. What reason could their be to deny this basic democratic request. As an Irish voter on Lisbon and a citizen of the EU, I would gladly bow to the decision reached by a popular vote of the PEOPLE of the EU; afterall, the Treaty affects each and every person in the EU in a major way. Let us hold a vote of all citizens and decide this democratically. The issue of the EU presidency going to two and a half years is CRITICAL: imagine having Sarkozy or Blair president of the EU for that length of time? Remember how much damage they did in their respective six month terms? NATO is another critical issue: the role of NATO in EU affairs in the name of all EU citizens should be clarified. I cannot condone NATO helping to bomb and murder women and children in Afghanistan without some sort of accountability to the EU citizens. Other important issues include the policing function of countries and international legal processes that could violate our own constitutions. We are just not ready for Lisbon I think: but, let the PEOPLE decide. I have spent much time in the EU forum discussing Lisbon with fellow Europeans and it has been very enlightening. To start at the end, the political will to give more power to Brussels is simply not there. This should be obvious to the EU elite now after the citizens of three member states have voted against it. Moreover, the very process of taking the Constitutional Treaty to only the representatives of the people as the Lisbon Treaty has created a high degree of distrust among those I dialogued with. There is a great feeling of distrust among common citizens that Lisbon is being rushed through for some ulterior reason. Feeding this sentiment is the EU's lapdog behaviour with the Bush Administration on using NATO as the auxiliary US military in pushing relations with Russia to the breaking point. Europeans have read the news on Georgia and well know that Russia did not invade Georgia; rather Georgia is guilty of military aggression and mass murder at the behest of USA and Israeli military advisors. Europeans are not at the level of Americans who willingly accept propaganda from their media; and we resent the official line Brussels has used in dealing with the Georgian Conflict as right out of Washington DC. What is clear is that the EU elite is not standing up for its citizens,or in touch with them; but is more interested in military and oilpipe line collusion with the USA. Sarkozy has strayed from the principals of cooperation and interdependence for peace, in favor of a pro-American propaganda position. Many many people resent this unholy alliance of EU and USA politics. 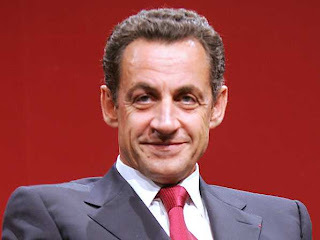 Sarkozy has failed to stand up for an EU with its own identity, and rather is seen as a pimp for the Bush warmongers. This goes directly to the heart of Lisbon. People do not trust the EU elite to act in their best interest. And no doubt, Lisbon would fail on the basis of a referendum vote for each MS. If the citizens of the EU would not vote for Lisbon, why then have their heads of state done so? 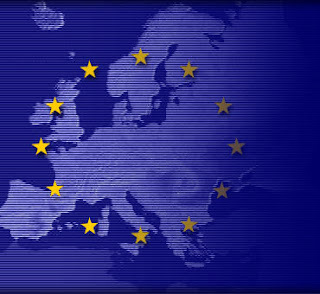 The EU will be nothing without the support of its citizens; it will fall apart at the first test. Political identity must be deepened before MS are willing to give more sovereignity away. 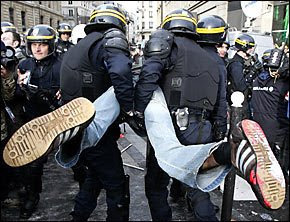 The disrespect Mr. Sarkozy has shown to Ireland has been well noted by other small MS as well, and it is fair to say he has done more harm than good to the opinion toward Lisbon. The people say: Let Nice stand. And if alterations must be made, let them be offered in a clear format and well debated before a vote. It is not up to Ireland to get our vote right; it is up to Brussels to get its treaties right. The political will is simply not there to support Lisbon across the EU.